Dr. Jennifer Broadhurst, Director of Operations at the Jacksonville Humane Society, discusses protocols and procedures in place for their kitten nursery, known as Kitten University, in partnership with First Coast No More Homeless Pets and Jacksonville's Animal Care and Protective Services. Out of their experience came the Kitten University Handbook, which they have been sharing with communities considering establishing a kitten nursery, or simply striving to save more neonatal kittens. Learn how a combination of resources - the nursery, foster homes, volunteers and staff - doubled the save rate of kittens in Jacksonville, FL, in just one year. This talk was part of the Maddie's® Shelter Medicine Conference track of the 2013 No More Homeless Pets National Conference. 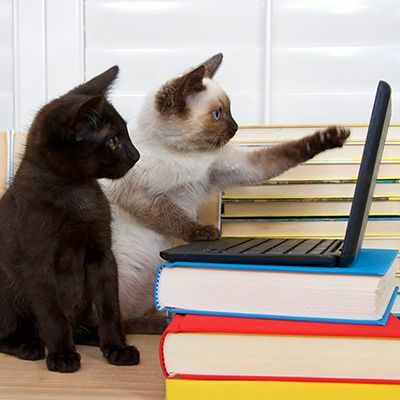 Understand the development process for nursery protocols and training materials at Kitten University. Avoid common mistakes if your community is considering a kitten nursery. Formulate protocols for handling neonatal kittens that minimize the spread of infectious disease and maximize lifesaving capacity. Dr. Jennifer Broadhurst has been with the Jacksonville Humane Society since January of 2006 and is the Director of Operations. She oversees the adoptions department, animal care staff, behavior department, and of course the medical department, including the foster program, animal admissions, transfer program from Jacksonville ACPS and the recently formed kitten nursery program. She received her Bachelor of Science in Zoology in 1999 from Southern Illinois University and went on to graduate with her Doctor of Veterinary Medicine from the University of Illinois, College of Veterinary Medicine in 2003. She is currently an HSUS Fellow doing a one year shelter medicine fellowship with the UC Davis Koret Shelter Medicine Program.